Helen has moved to Cornwall to take it easy for a while. She and her husband need some peace and quiet, but Helen doesn't like to sit still, so she takes a temporary job at the café. She doesn't meet Evie before saying yes to the job though. Unfortunately they don't get along very well. What will happen when they absolutely have to in a moment of crisis? 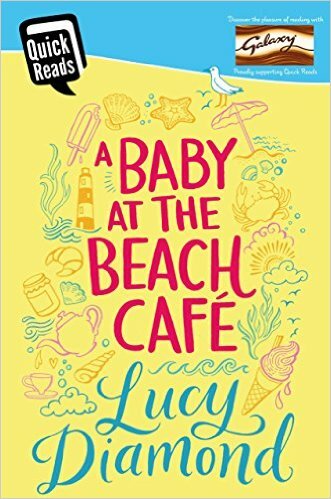 I've read all of The Beach Café stories, they're simply fantastic. Lucy Diamond brings the café to life so well. It's one of my favorite fictional places as it's so charming. I love the warm and welcome feeling, the café is cozy, it's lively and it's friendly. In other words, the perfect place for people to have a good time. It was fun to read about Evie again. There's also a serious side and Lucy Diamond describes her insecurities and her wishes in such an empathic way. It makes the story realistic and it gives Evie an extra layer of depth. Helen is a kind woman who has problems of her own. There's sadness in her, but also hope. I instantly liked her and think she's a great addition to the story. 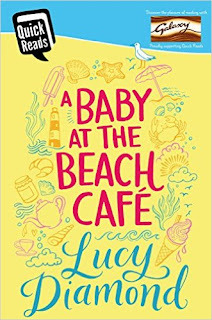 A Baby at the Beach Café is another great Beach Café story. If you're a fan of this series you will definitely enjoy reading this story. It can also easily be read as a standalone though. The Beach Café is absolutely wonderful and the stories are all heartwarming and amazing.